We keep trying to mix things up with each week of Making It Rainfall, so this time we’re trying a theme we haven’t tackled before – clockwork stages. Granted, we’ve had the occasional pulley here or there, but these stages are really focused on all sorts of automated mayhem. Furthermore, I feel these are some of our strongest showings for creativity and design yet. As always, I have personally tried and beaten each level to make certain it’s balanced, and they are all fun and challenging. 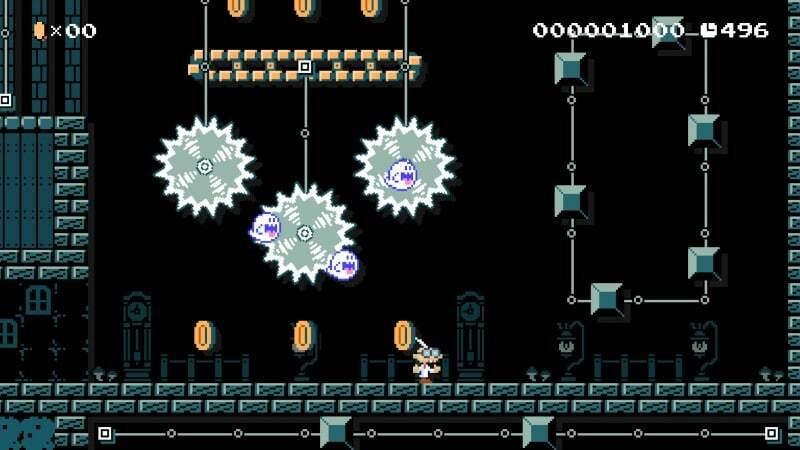 Best of all, we have another new Super Mario Maker creator in Phil Schipper, whose first level frankly wowed me. That’s enough talk, let’s get to the 7 clockwork levels this week! It’s a kid-speed moving stage, so it moves pretty quickly and requires some quick reactions. I don’t know why I feel the need to add wings to everything, but once I start I just can’t help myself. Fun fact: I originally wanted to use a Luigi costume since I used the Ghost House theme, but I soon realized I hadn’t unlocked that costume yet, so I decided to use Ashley instead, because why not? This level is a bit of a doozy. Though it’s short, it’s quite a challenge. It has Mario travelling the entire thing on an automated platform, avoiding cannonballs, flames, fire bars and bullet bills. If you can get past the first half of the level and make it to the midway flag, the second half is much more relaxing. Just persevere and you’ll make it through! I couldn’t resist the temptation to make a clockwork Castle themed stage. 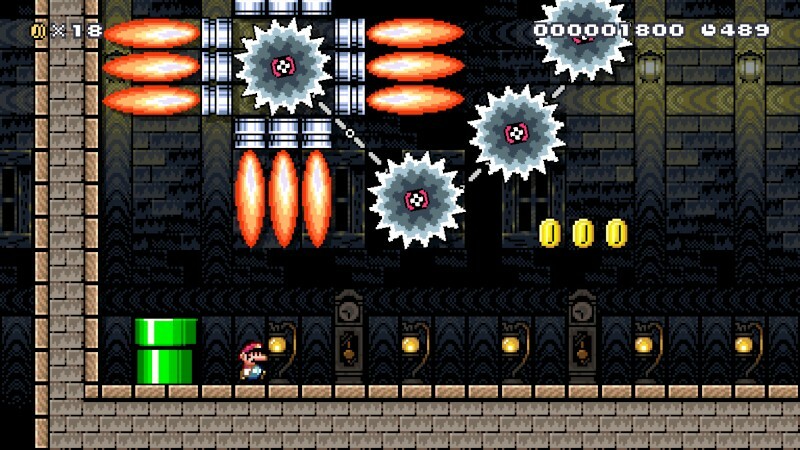 So besides the typical conveyor belt madness, this level also culminates in a boss fights against Bowser AND Bowser Jr.! If that’s too much to handle, there is actually a hidden path that takes you right past them and straight to the exit, if you can find it. A fun and furious little level. 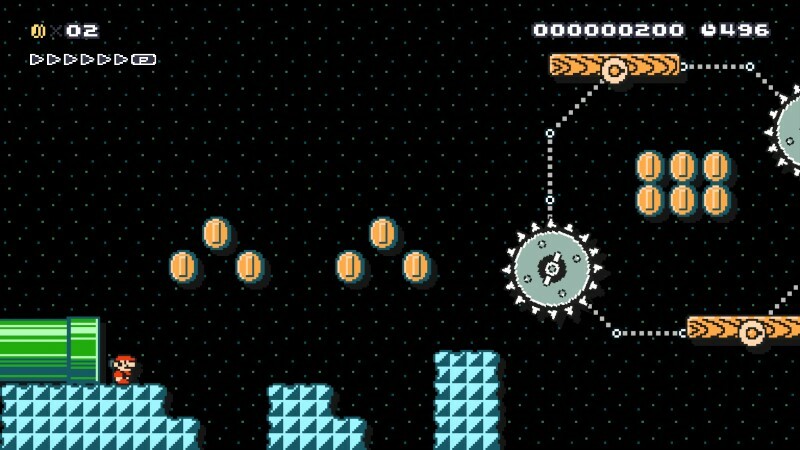 I’m not quite sure why I love the Super Mario 3 styled levels for clockwork, but it just seemed to fit. Probably cause of the rhythmic music that plays during Underground areas. 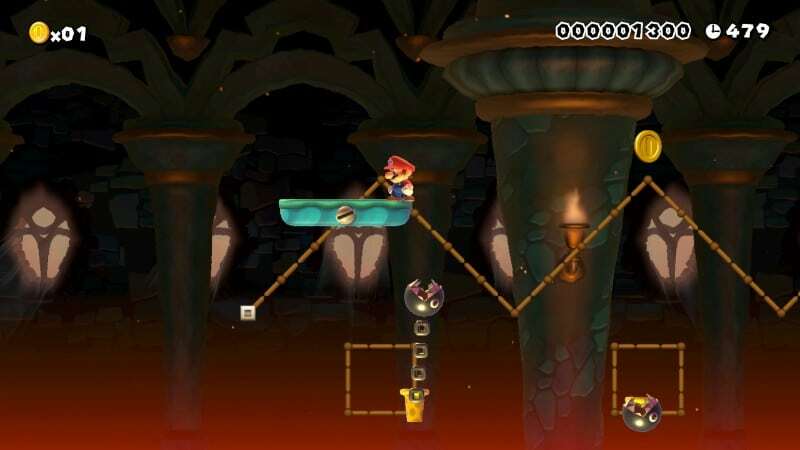 Either way, this level shows how Bowser gets things done – through slave labor! Yes, he has hooked many of his underlings to conveyor belts, and Mario must get past all of them unscathed. There are Hammer Bros, Monty Moles, Dry Bones and more to contend with. 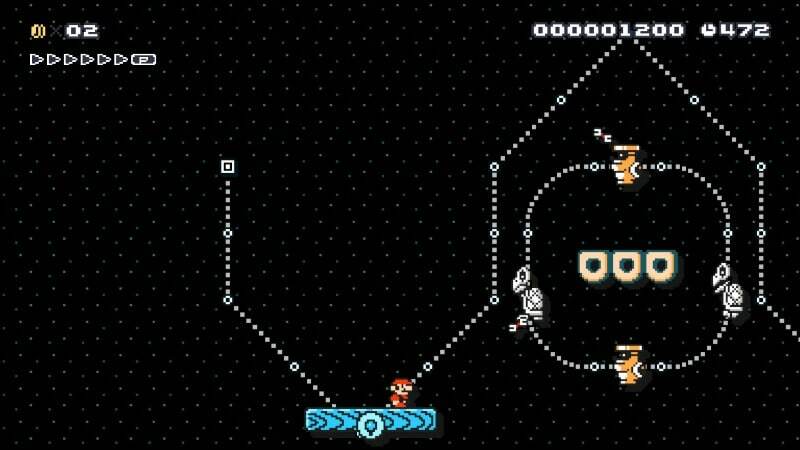 This is a bit of a longer stage, so just take it slow and easy, and you should be able to get to the end. Can’t let Mario get lost in this underground nightmare! Unlike the previous level, Tick Tock Tunnel will have you going back and forth between the underground and above ground sections. Things start simple, but very quickly get complicated by lots of automated madness. There are lots of conveyor belts with traps all over, and even a fun and brisk ride on a Skull roller coaster. Even once you make it to the safety of the midway flag, you’ll still have your work cut out for you, as the automated cannons and flames bar your way to the exit. Even then, you’ll have to make your way cautiously out of the last warp pipe to the end of the stage. Honestly this was my favorite level of mine, so I hope you all enjoy it! In this level, I decided to use the new Professor E. Gadd costume, so I made the level into a haunted clock tower. The good professor has come to this haunted clock tower for research purposes, of course! But it might be more than he bargained for! 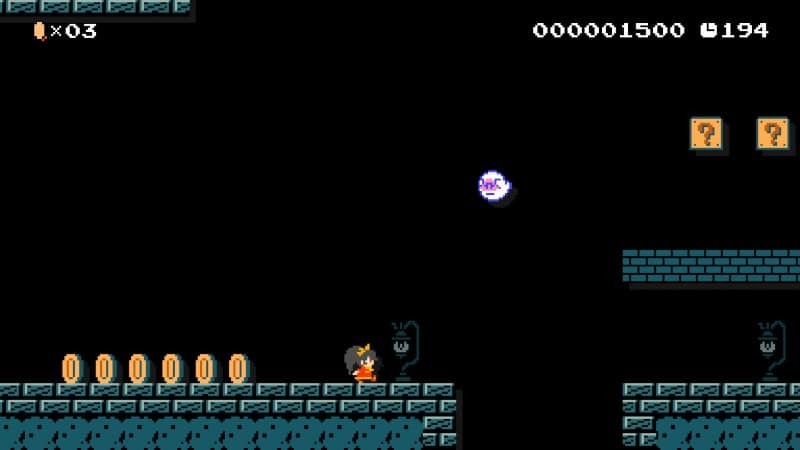 There is a big Boo chase sequence near the end that has a cool intro, and as usual I’ve hidden a handful of 1Ups around the level too. I hope you have fun with this level! 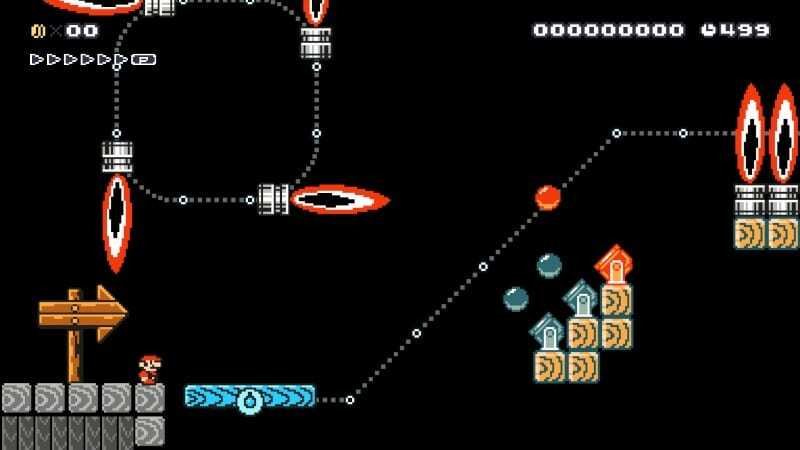 This level may involve a clock tower, but it is very different from the previous one! This one isn’t haunted, but it is infested with Bloopers! You’ll have to make your way through a series of tricky jumps to make your way to the precipice of the clock tower. Once you make it, Mario can jump through the clouds to the finish line! That’s it for Week 10. Join us the last Monday of February for Week 11!